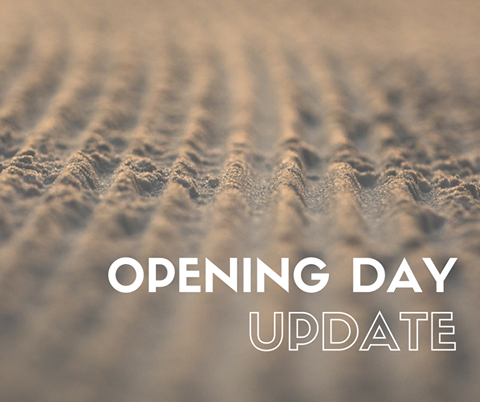 Triple Chair and BRAND NEW RUN open you can come check out what everyone’s talking about. Tickets can be purchased from 4:45 PM and first lift up at 5:00 PM. 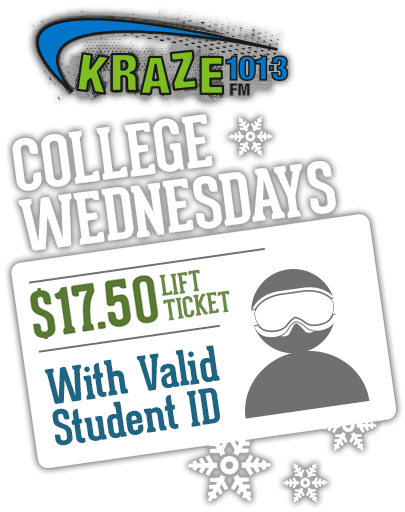 Today is the first Kraze College Wednesday of the Season! 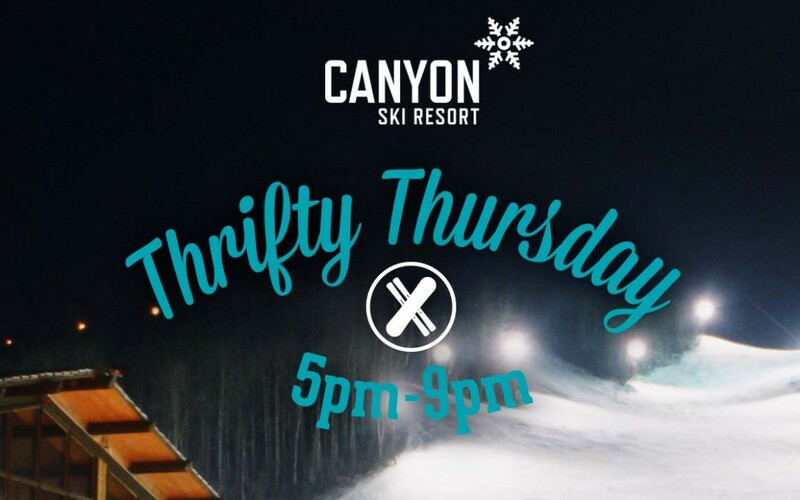 Come down tonight from 5pm-9pm and show your valid college ID to receive half price lift tickets! Enjoy your night under the stars for only $17.50! Just don’t forget your ID! 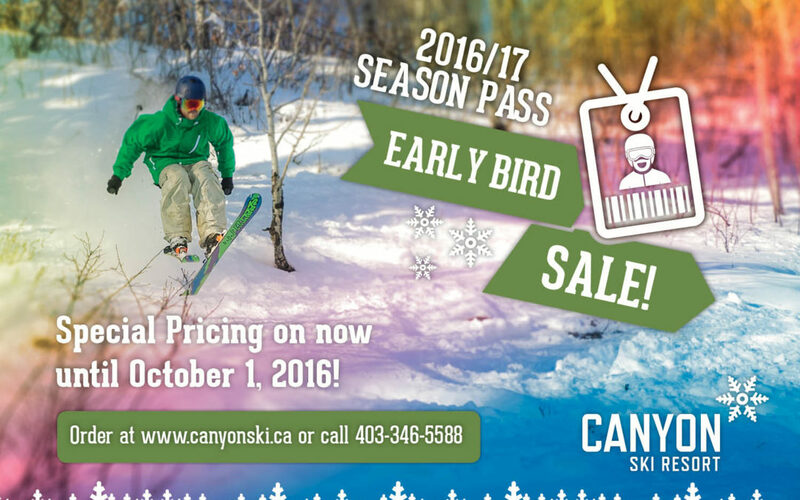 Only 1 week remaining to score the best prices of the season for your 2017/18 Season Pass. Head to our eStore to purchase or give us a call at 403 346 5588 today. Unlimited Skiing and Snowboarding, great discounts at resorts across Western Canada AND deals in our pro shop just not enough? 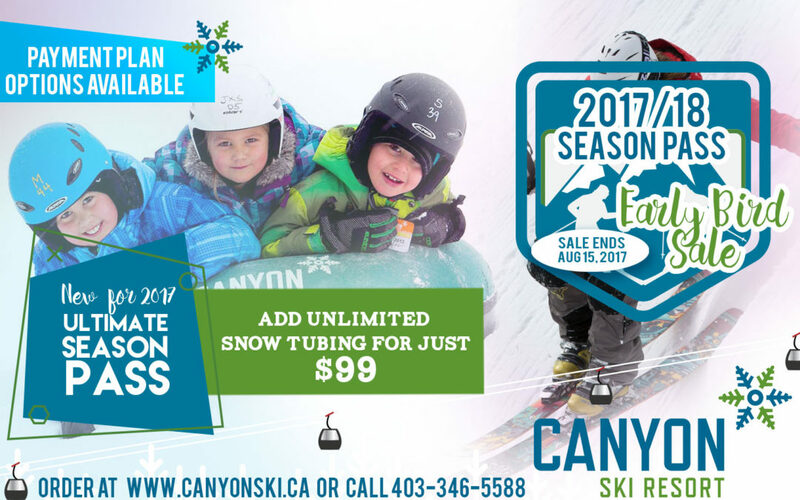 Upgrade your pass for $99 to get unlimited Snow Tubing all winter long. 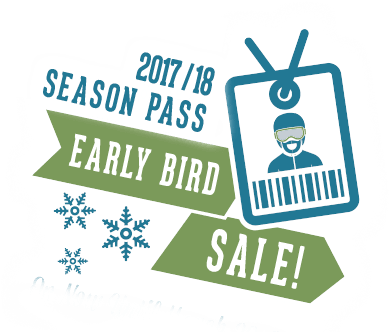 Buy your 2017-18 season pass before August 15th and save. Head to our eStore now! Early bird sale ends October 1st! Winter is nearly here which means our special early bird pricing is nearly over so don’t wait, buy today! Get a great deal on a season pass but only until October 1st. Skip the lines and go direct to lift for unlimited skiing and boarding for the for the whole season! Plus take advantage of awesome pass holder perks getting you great discounts at resorts all over Western Canada. Click here to buy now!